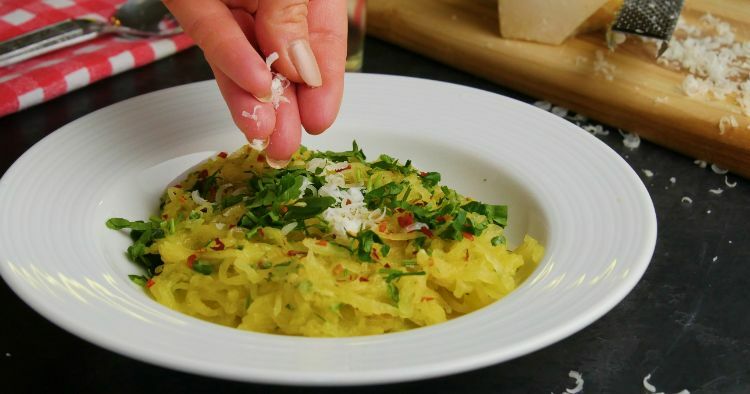 When you’re trying to cut carbs or add more veggies to your daily diet, spaghetti squash can be your best friend. Its mild flavor and long strands make it a brilliant stand-in for your favorite starchy pasta noodles. Flavorful mix-ins are what will make it delicious. This is a simple, easy-to-prepare dish that makes a satisfying light meal or a hearty snack. You could add some shredded rotisserie chicken or pan-seared fish for a bit of protein if you are serving it for dinner, or just serve it as-is for an afternoon snack. Place the trivet in the Instant Pot, and add the water. 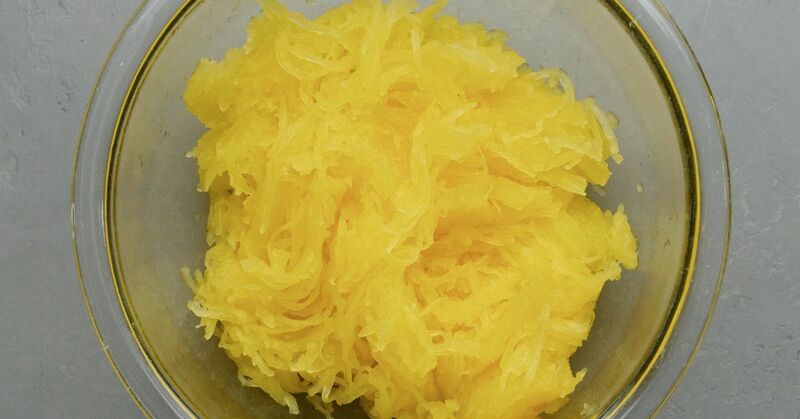 Put the halved spaghetti squash, cut sides up, on the trivet. Close the lid, and turn the valve to the sealing position. Cook on high pressure for seven minutes. When the cooking time is up, quick release the pressure. Remove the squash from the pot using oven mitts, and let stand until it's cool enough to handle. Drain the water from the pot and wipe it dry, then heat it using the sauté function. Add the butter and olive oil and heat until the butter is melted. Add the garlic, salt, pepper, and red pepper, if using. Cook, stirring, for about two minutes, until the garlic is softened, but not browned. Turn the pot off, and add the shredded squash, cheese and parsley. Toss to coat the squash well and serve immediately.